THIS HOME IS OFF THE MARKET. Amazing and well cared for ONE LEVEL home with 3 bedrooms + office (possible 4th bedroom)! Superb upgrades throughout! This is a must see. Beautiful kitchen with full backsplash, stone flooring, upgraded UNDER counter lighting and stainless steel appliances. Presidential master bedroom with beautiful floor to ceiling wall tile in master bathroom and extra large walk-in closet. So many special touches! Although this property is not currently available, call Nathan Cano’s team at (360) 823-3333 or contact us today to see other one level homes! We dealt with Kelly Winn from Nathan Cano Real Estate. We were looking for an agency that specializes in the downtown Vancouver properties. After we discussed putting our house on the market, Kelly made some bold statements about the asking price, length of time before an offer is received and possible delays. He was very up front about all of them and he was right about them all. It felt comforting to know that we were in good hands the entire time. Job well done! Troy was a pleasure to work with. He is very knowledgeable and closely tied to the market and other available services. The attention to detail and ongoing support are outstanding. Thank you!!! Cano Real Estate did an excellent job showing and selling my home. It sold in 3 days! It was priced right and the pictures posted on the internet were top notch. It has also been a pleasure working with Nathan on building our new home in Erickson Farms (Felida, WA). As soon as I saw the listing for my condo I requested information. Kelly Winn was the 1st to respond and he showed me the place the very next day! I loved it, made an offer and the offer was accepted! I am now the proud owner of my beautiful condo! Kelly and his team at Cano Real Estate made the whole process seamless! I could not have asked for more professional expertise AND the upmost support for making this a smooth transition. Thanks to all! Kelly Winn was totally on top of his game. The sellers excepted our first offer, and we closed on the house in 16 days with not compromising on anything we needed. 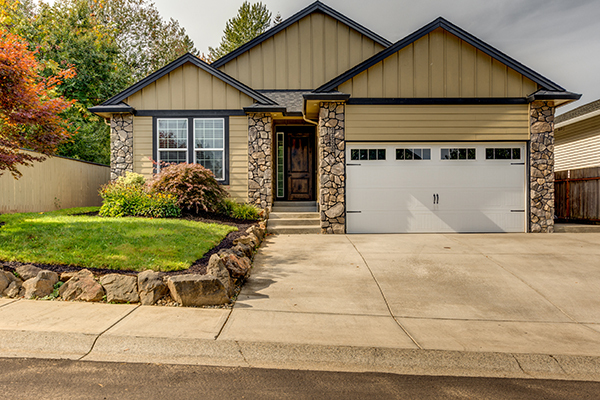 Kelly’s knowledge and local connections made our first home buying experience easy and worry free. I highly recommend Kelly and his team. On a 5 scale with 5 best, I give Megan an 8. Extraordinary service. The Cano Real Estate Team are true professionals. Kelly Winn handled my home purchase and he was outstanding. Highly recommend him and the whole Cano team. Will definitely contact them for future real estate needs. Nathan Cano and Kelly Winn were great to work with as I sold my townhouse in Vancouver. The amount of knowledge and quick responsiveness was second to none. I would go to them again if I need to buy/sell a home in the future, without a doubt.